thank you for sharing this guide. 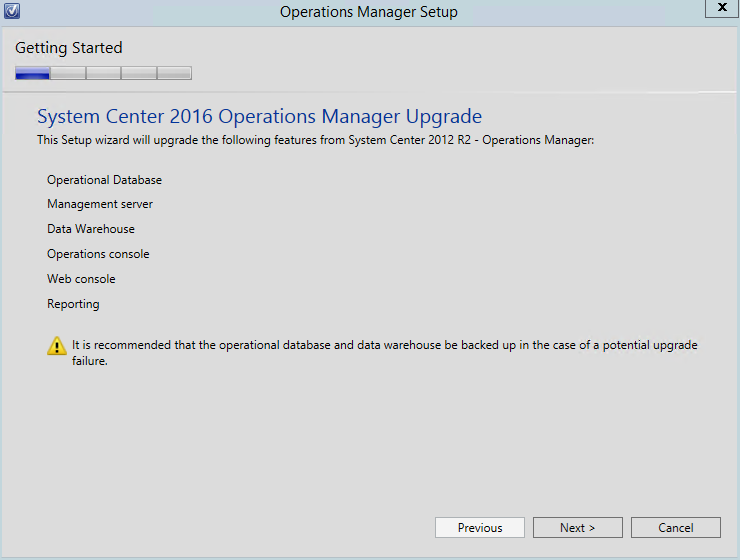 Is it possible to upgrade the OS from Server 2012r2 to 2016? I want to make a fresh clean installation of the Server is there any way? I don’t like inplace upgrades. Hi, do you mean do an upgrade by running the 2016 media on the 2012R2 server? I would not recommend this path — always do a clean install. As per this guide, it was to only illustrate upgrading SCOM 2012R2 to SCOM 2016. You could very well have SCOM 2012R2 on a Windows Server 2016 and run the upgrade in the same manner as well. no I want to have a clean install of Windows Server 2016. 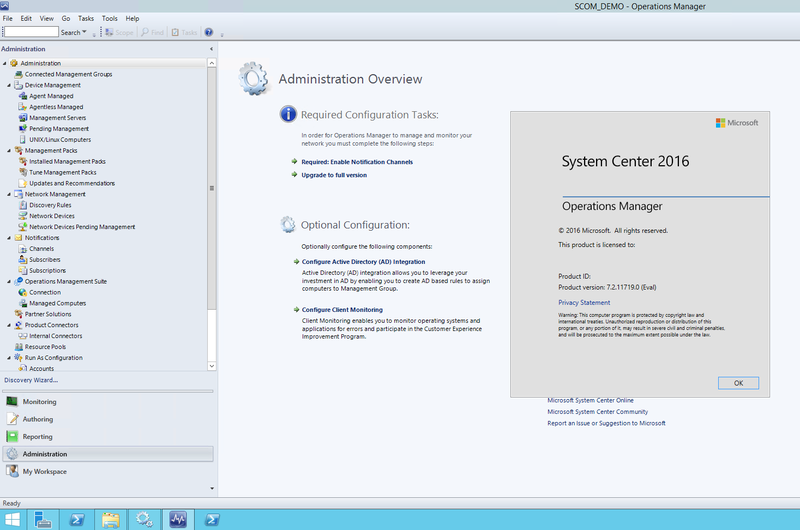 I have currently a Windows Server 2012r2 with scom 2016(upgraded today from 2012r2) installed. 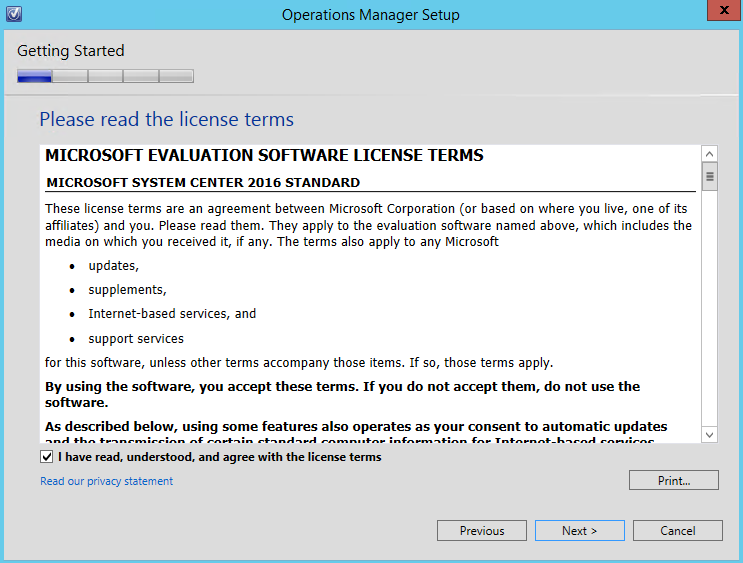 To have the OS updated to server 2016, what I need to do? Just reinstall windows server 2016 and give the machine the same name and install scom 2016 and connect to the database? I don’t want to create a new site. If I understand correctly, you want to raise another Management Server on a 2016 OS? 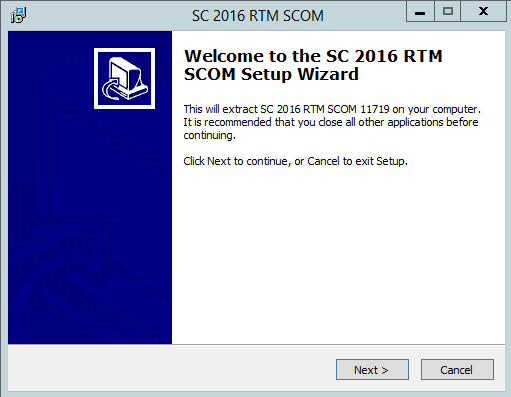 What you need to/can now do (without understanding the full complexity of your environment) install SCOM on the new machine. Install the server role. When installing, you can connect to the current/existing Management Group. 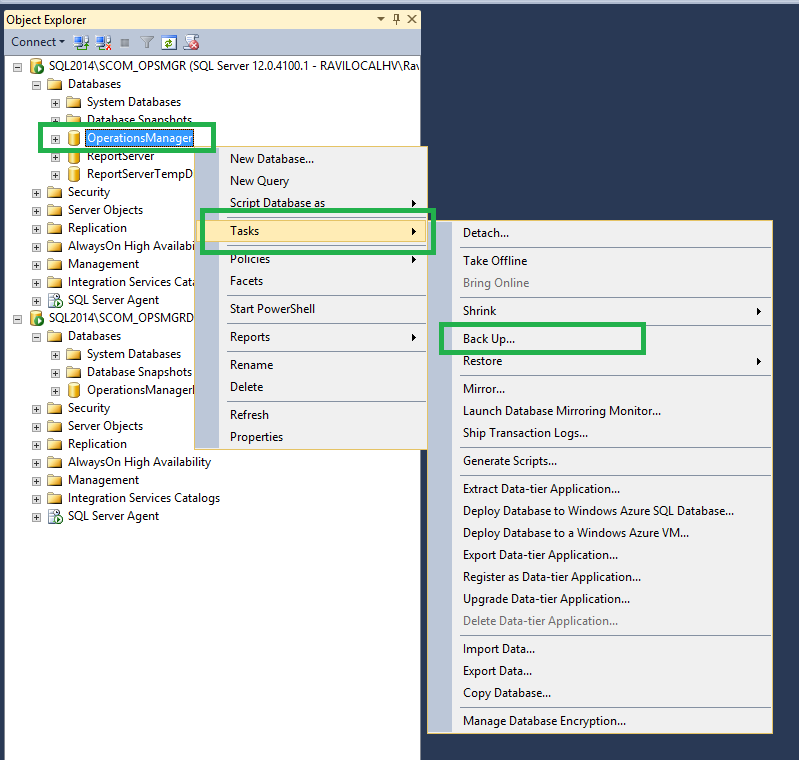 Once that server is online, you can then de-comm the 2012R2 server. This is assuming you have no web console installed. You will also need to transfer the eRMS role to the new server. You will also need to update all reporting agents to the new management server. 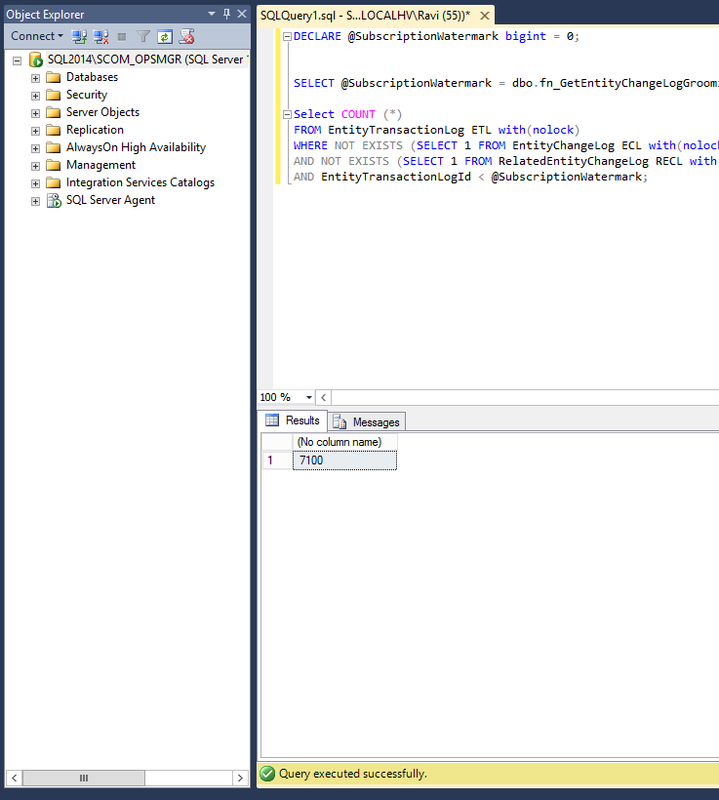 Once you have confirmed there are no dependencies on the 2012R2 server, you can then de-comm the server. Again, this is a very general answer as I am very unaware of your environment. Hope that helps. 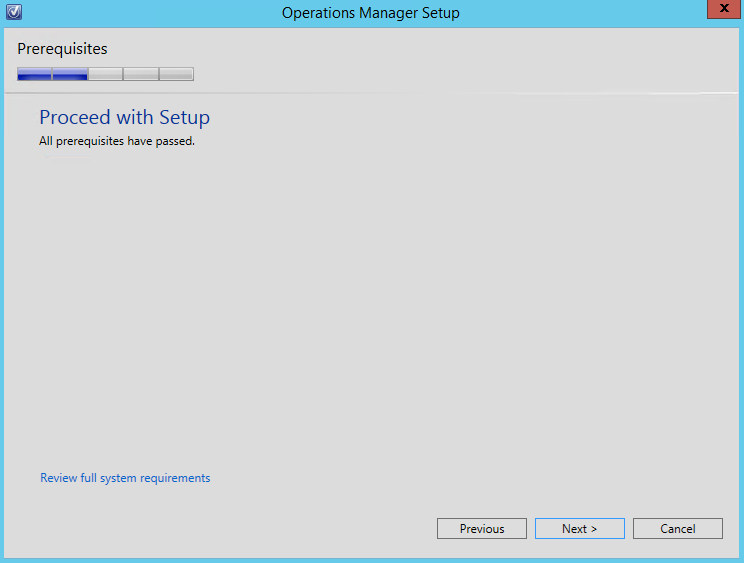 no, I have one SCOM Managment Server running SCOM 2016 on Windows Server 2012R2. I want to upgrade Windows Server 2012R2 to Windows Server 2016. How can I do this with a fresh clean installation of the Server? hello, are you deploying a new dedicated Windows 2016 server, or upgrading the OS from 2012R2 to 2016? My preferred way would be to deploy a brand new server instead of upgrading the OS by insert the ws2016 media, an just following the upgrade wizard. I would like to have a new fresh installation, but the machine needs to be the same. What would be the best practice to realize this? Hi, if you go into any of the management servers, and take a look within the administration pane, and management servers — does your new 2016 server exist there? 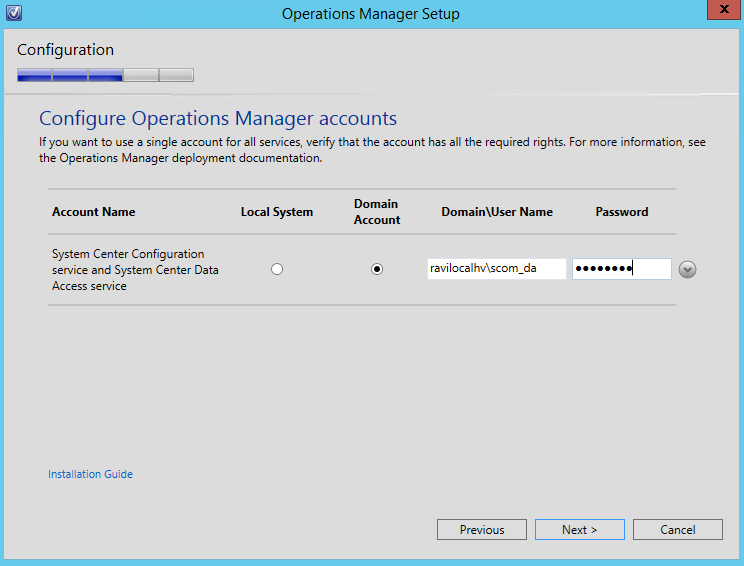 there are a lot of steps here, i highly recommend reaching out to a scom consultant (please find me on linkedin)…. 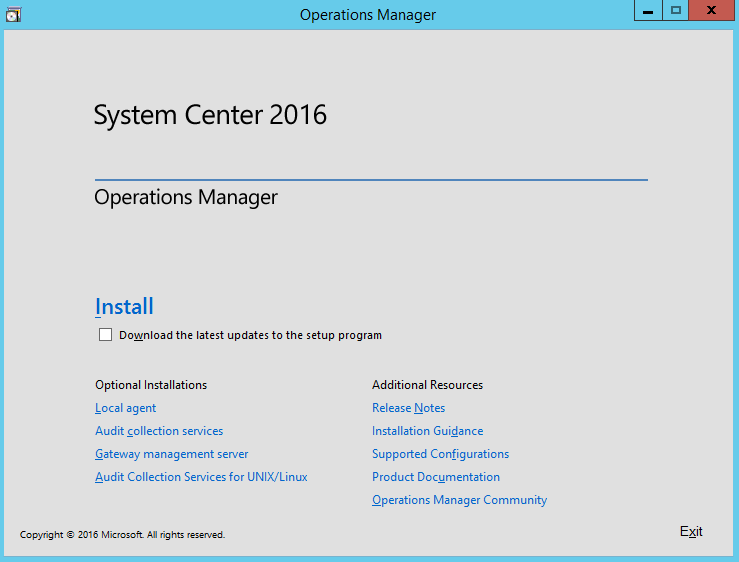 but in short: create a new server with windows 2016. install SCOM and all the roles necessary. migrate all the agents to the new mgmt server. ensure all management packs, connectors, etc., are working via new server. once satisfied, decommission/gracefully remove old mgmt server. I need to use the same server with exactly the same computer account name. Otherwise, with your suggestion it would be easy to go through. It should be made clear that most folks (even in a TEST infra) have a true distributed environment whereas SQL is at least 2 instances and reporting & web console sit separate. 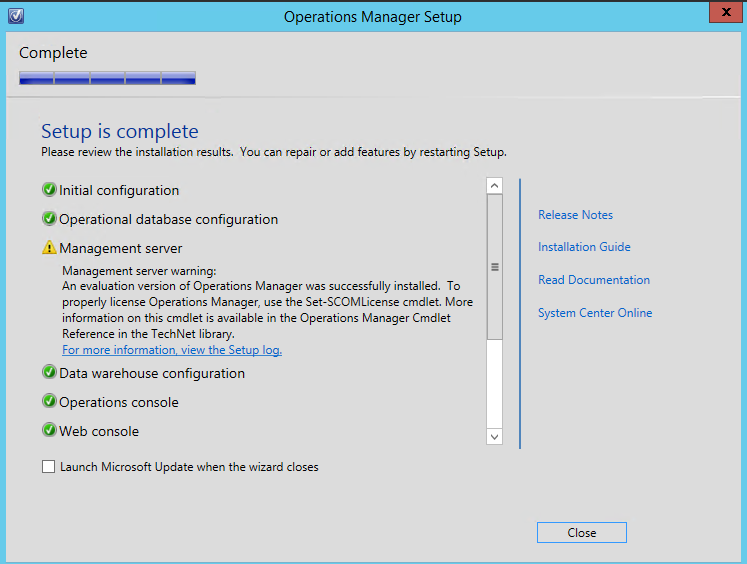 So, that means that you also have to launch this setup (separately) on those servers after your MS upgrades…just like the step by step UR procedures from Holman. Also worthy to note that you should do VM snapshots with SQL offline and also snapshots of the MS servers after bringing SQL back up. I am planning to move all my monitoring from SCOM 2012 To VROPS. any reference documents\plan or inputs would be very appreciated from someone. Unfortunately I am not experienced in this migration path. I would suggest reaching out to VMware, or a VMware friendly blogging community. Best of luck. I have upgraded my environment from 2012 R2 (UR12) to 2016. Am getting the following error in All my MS and no new agents are turning healthy. Configservice.config in All MS servers are fine. Will it be due to deleting an agent directly from DB(Not through Console) before the upgrade? Hi Dinesh, there could be a few issues here. But I would highly recommend opening a ticket with Microsoft directly. 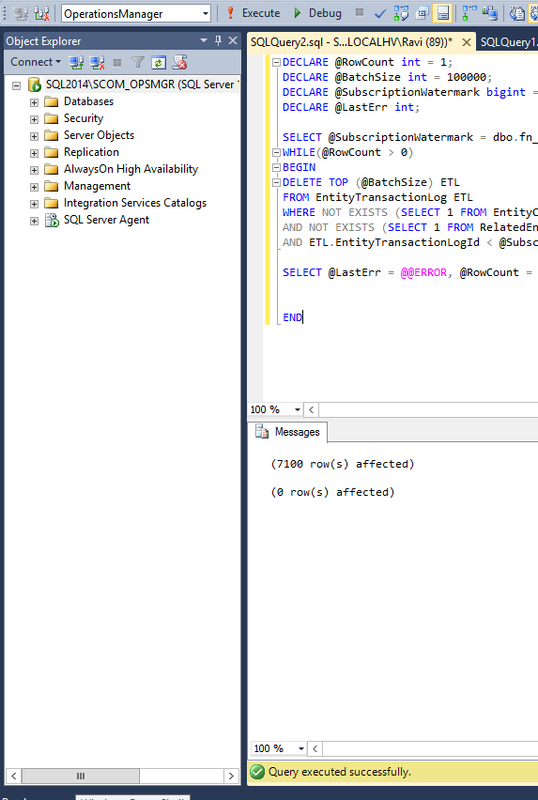 It is always advised to delete the agent(s) from the SCOM console and not from SQL directly. How is the health of the Management Servers? Are any of them healthy? It was due to deleting an agent from DB directly before upgrade. Issue got fixed after three days , once the agent completely got removed from DB. I’m just wondering if the monitored servers were still reporting their health and alerts before they were updated. I.E. 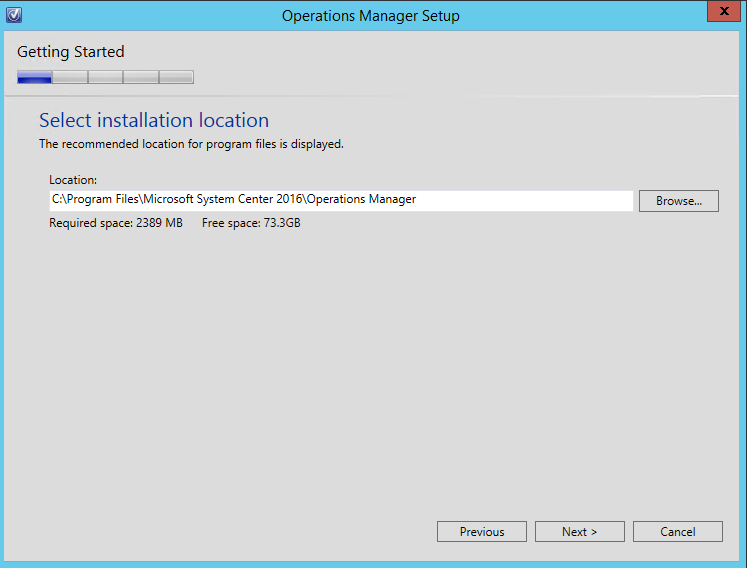 can you monitor 2012R2 agents with 2016 management servers? Hi, yes, you can continue to monitor with a 2016 environment and 2012R2 agents. However, it is recommended to upgrade the agents to match the management server version build. Would the 2012 R2 agents still be in a monitored state by your 2016 management servers until they are updated? 2-when you said check “review OM event logs” what exactly are we looking under event logs, is there any specific logs that we need to look and rectify the issue before the upgrade. Thank you so much Ravi for quick reply. much appreciated. 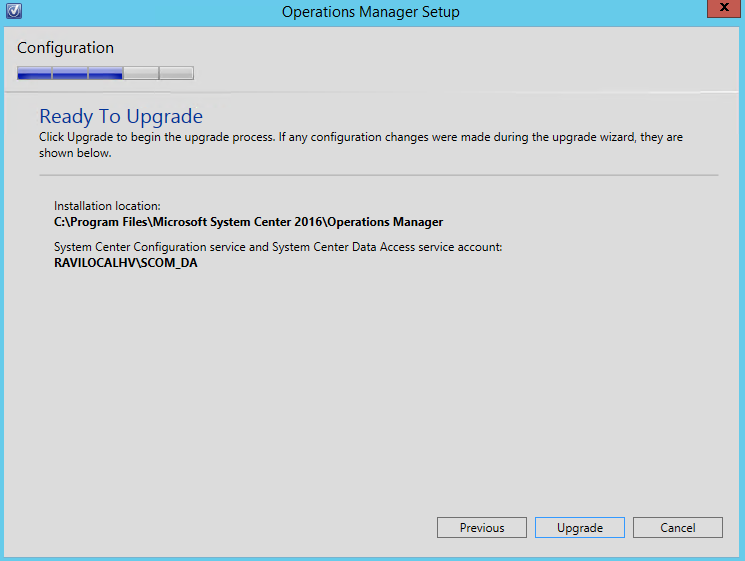 does SCOM 2016 upgrade require to upgrade my sql server as well because currently i am running SQL Server 2012. Of the top of my head, I believe the minimum version supported for SCOM 2016 is SQL 2012 SP2, but I could be wrong and it could be only 2014 and newer. I was unable to find any documentation from Microsoft, as all the URLs return a 404 error. I will reach out to the MS team and find out.